The judgment of the Supreme Court this morning in Gavin Edmondson Solicitors Ltd v Haven Insurance Company Ltd  UKSC 21. It confirms that solicitors are entitled to costs in cases where the defendant’s insurer, knowing of the solicitor’s involvement, settled directly with the client. The claimant solicitors were instructed by a client. The defendant insurer contacted that client directly without reference to the solicitors and settled the case. The claimant solicitors then brought an action against the insurers claiming damages for the costs they would ahve received. The claim failed at first instance. The claimant appealed to the Court of Appeal. That appeal was allowed. The defendant insurers then appealed to the Supreme Court. That appeal was dismissed. The claimant solicitors wer entitled to damages. I consider that to be a correct statement of the law. It recognises that the equity depends upon the solicitor having a claim for his charges against the client, that there must be something in the nature of a fund against which equity can recognise that his claim extends (which is usually a debt owed by the defendant to the solicitor’s client which owes its existence, at least in part, to the solicitor’s services to the client) and that for equity to intervene there must be something sufficiently affecting the conscience of the payer, either in the form of collusion to cheat the solicitor or notice (or, I would add knowledge) of the solicitor’s claim against, or interest in, the fund. The outcome of the case also recognised that the solicitor’s claim is limited to the unpaid amount of his charges. Implicit in that is the recognition that the solicitor’s interest in the fund is a security interest, in the nature of an equitable charge. It remains to consider whether the decision of the Court of Appeal in the present case is either an application of that settled principle, or a legitimate extension of it, in the context of its finding that Edmondson had no contractual entitlement to its charges from any of the claimants, but only the expectation of receiving fixed costs, disbursements and a success fee under the terms of the RTA Protocol. But it is first necessary to determine whether or not Edmondson did have a contractual entitlement to its charges under the CFA. Construction of the CFA – Does the client have any contractual liability to pay the solicitor’s charges? I respectfully disagree. In my judgment, for the reasons which follow, the Client Care Letter did not destroy the basic liability of the client for Edmondson’s charges expressly declared in the CFA and Law Society’s standard terms. It merely limited the recourse from which Edmondson could satisfy that liability to the amount of its recoveries from the defendant. It both preserved and in my view affirmed that basic contractual liability, to the full extent necessary to form the basis of a claim to an equitable charge as security. The first question is whether the Client Care Letter had contractual effect at all. Both it and the two other documents sought to make it clear that the full terms of the retainer were to be found in the CFA document and in the incorporated Law Society terms. Nonetheless I am prepared to assume, in favour of the client, that the last quoted passage in the Client Care Letter was either part of the contract of retainer, or a collateral contract. I consider that the language of that passage does three things. First, it asserts a right for Edmondson to recover its fees and charges from the defendant. That affirms the equitable lien, since there would otherwise be no basis upon which Edmondson could do so. Secondly it states in clear terms that such a recovery is the means by which Edmondson can give effect to a continuing responsibility of the client for those fees. Thirdly it limits Edmondson’s recourse for the fees to the amount recovered from the defendant. There is in my view a compelling parallel in a limited recourse secured loan agreement. A lender may lend a million pounds to a borrower, take valuable security, and then agree to limit his recourse to the amount recovered by enforcing that security. It would be absurd to say that the lender thereby deprived the security of all effect because the borrower would not have to put his hand in his pocket to pay anything in addition. The Client Care Letter was plainly intended to be read, so far as possible, in accordance with, rather than in opposition to, the CFA and Law Society’s terms. Those two documents are, in the passages from them quoted above, shot through with clear assertions of the client’s responsibility for the firm’s charges in the event of a win in the litigation, which is defined to include a settlement of the claim under which there is an agreement to pay the claimant damages. Full effect can be given to the objective stated in the Client Care Letter, that the client should not have to put his hand in his own pocket to pay the solicitors’ charges, without destroying the basic contractual responsibility of the client for their payment, if it is construed as I have described. Did Haven have Notice of Edmondson’s Lien? The result of the above analysis is that there did exist, in each of the six cases, a sufficient contractual entitlement of Edmondson against its claimant clients to form the basis of a claim to an equitable lien over the agreed settlement debts payable by Haven on behalf of its insured drivers. The conventional analysis therefore requires the following questions to be answered: (1) did those settlement debts owe their creation, to a significant extent, to Edmondson’s services provided to the claimants under the CFAs? and (2) in the absence of collusion did Haven have notice (or knowledge) of Edmondson’s interest in the settlement debts? There has been no challenge to an affirmative answer to the first question, save in the case of Mr Tonkin, to which I shall return below. Edmondson completed and lodged the CNFs onto the RTA Portal as the first step in its discharge of its duties under its retainers. Each CNF contained a sufficient description of the clients’ claims and an indication that, unless settled, they would in due course lead to litigation. Even though it did not involve Edmondson in much work, it was enough to trigger Edmondson’s entitlement to its basic charge, disbursements and success fee under the CFA terms if there ensued a successful outcome to the claim, and enough to galvanise Haven into making a direct settlement offer to each of the claimants. The question of knowledge or notice is in dispute. Absence of notice was the main reason why the claims failed before the judge. In his view it was a fatal objection that Haven did not know the detailed terms of the CFAs. In the Court of Appeal it was held that Haven had both express notice, implied notice and the requisite knowledge in any event. The claim under the traditional principles of equitable lien failed, not because of absence of notice, but because there was no underlying responsibility of the clients to pay Edmondson’s charges. It is common ground that, by the time that Haven paid the settlement sums direct to the claimants, it knew that each of them had retained Edmondson under a CFA, but not its detailed terms. This much was apparent from the CNFs which Edmondson placed on the Portal. Haven also knew, from the fact that Edmondson chose to initiate each claim by using the RTA Portal, that Edmondson was most unlikely to have been paid its charges up front, but rather that it expected, if successful, to obtain payment of its charges from monies paid by Haven under the terms of the RTA Protocol, if the case settled while in the Portal, or by way of a costs order if it went to court. Either way, Haven knew that Edmondson was looking to the fruits of the claim for recovery of its charges. Haven’s knowledge that, if the claim could not be settled direct, it would have to fund Edmondson’s recoverable charges is also apparent from the recorded telephone conversations with Mr Tonkin and Mr Grannell set out above. The judge found that Haven had this knowledge, and intended by settling direct to avoid having to pay Edmondson’s charges. The claim of collusion failed, not because Haven lacked the requisite intent, but because each of the claimants did. In my judgment the Court of Appeal’s approach to the question of notice is to be preferred to that of the judge. Once a defendant or his insurer is notified that a claimant in an RTA case has retained solicitors under a CFA, and that the solicitors are proceeding under the RTA Protocol, they have the requisite notice and knowledge to make a subsequent payment of settlement monies direct to the claimant unconscionable, as an interference with the solicitor’s interest in the fruits of the litigation. The very essence of a CFA is that the solicitor and client have agreed that the solicitor will be entitled to charges if the case is won. Recovery of those charges from the fruits of the litigation is a central feature of the RTA Protocol. This court’s conclusion that the CFAs made between Edmondson and its clients did contain a sufficient contractual entitlement to charges to support the equitable lien on traditional grounds makes it strictly unnecessary to address this further question, because the sub-stratum upon which it is based is missing. There is simply no need, on these facts, to do more than apply the principles summarised in the Khans case, to reach the conclusion that Edmondson are entitled to have Haven pay them the charges identified in the CFAs as recoverable in the event of a win, to the extent that those charges did not exceed the settlement sums actually agreed to be paid to the claimants. But the correctness or otherwise of the Court of Appeal’s reformulation of the principle has been extensively argued, and supported by the Law Society as intervener. The Court of Appeal rested its conclusion on two alternative grounds, both of which assumed that Edmondson’s clients had no contractual responsibility of any kind for its charges. The first was that Edmondson had its own entitlement to recover its charges from Haven under the RTA Protocol. The second was that the clients had such an entitlement, and Edmondson had a right to sue Haven for its enforcement using the client’s name for that purpose. There are in my judgment insuperable obstacles in the way of each of those alternatives. They stem mainly from the voluntary nature of the RTA Protocol. It is not contractual in nature (although participants do undertake certain irrelevant contractual obligations to PortalCo, which operates the RTA Portal). A failure to comply with some provisions, such as the requirement to lodge a CNF response within 15 days, automatically leads to the case leaving the scheme. Other breaches of its terms entitle, but do not oblige, the other party to take the case out of the scheme. True it is that, in a case where liability is not in issue, the solicitor participant has an expectation that it will receive its charges stage by stage under the scheme from the defendant’s insurer, but that is not a contractual or other legal right. Generally, breach of protocol terms may lead to adverse costs orders if the matter then becomes the subject of proceedings in court, but this lies in the discretion of the court. For this purpose I am prepared to assume that an offer of a settlement payment, made direct by the insurer to the claimant, which makes no provision for payment of Stage 2 fixed costs, disbursements and a success fee to the solicitor, at a time when a case has entered and not yet left the scheme, is a breach of paragraph 7.37 of the RTA Protocol. But it creates no legal or equitable rights of any kind, if the client has no responsibility to the solicitor sufficient to support the solicitor’s lien. There is no legal entitlement of the solicitor direct against the insurer which the lien can support by way of security. As for suing in the name of the client, this is (as counsel agreed) a form of contractual subrogation. The solicitor can be in no better position than the client, as against the insurer. In the present case, all the clients contracted with Haven to receive settlement sums which did not include a costs element, and were paid in full. Any attempt by Edmondson to stand in their shoes by way of subrogation would be met by an unanswerable defence from Haven, based upon the settlement agreements. Counsel for Edmondson presented a detailed and vigorous submission to the effect that the flexibility of the equitable remedy for the protection of solicitors was apt to respond to any instance of unconscionable conduct by the insurer, including breach of the RTA Protocol, all the more so because of the strong public policy in enforcing the scheme, designed as it was to balance the competing interests of its stakeholders while ensuring access to justice for the victims of road accidents at proportionate cost. He sought to show, by reference to the cases which I have summarised, that this remedy had that flexibility from the outset. I acknowledge that equity operates with a flexibility not shared by the common law, and that it can and does adapt its remedies to changing times. But equity nonetheless operates in accordance with principles. While most equitable remedies are discretionary, those principles provide a framework which makes equity part of a system of English law which is renowned for its predictability. I have sought to identify from the cases the settled principles upon which this equitable remedy works. One of them is that the client has a responsibility for the solicitor’s charges. It is simply wrong in my view to seek to distil from those cases a general principle that equity will protect solicitors from any unconscionable interference with their expectations in relation to recovery of their charges. Furthermore the careful balance of competing interests enshrined in the RTA Protocol assumes that a solicitor’s expectation of recovery of his charges from the defendant’s insurer is underpinned by the equitable lien, based as it is upon a sufficient responsibility of the client for those charges. Were there no such responsibility, it is hard to see how the payment of charges to the solicitor, rather than to the client, would be justified. Furthermore, part of the balance struck by the RTA Protocol is its voluntary nature. Its voluntary use stems from a perception by all stakeholders that its use is better for them than having every modest case go to court. If the court were to step in to grant coercive remedies to those affected by its misuse by others, that balance would in all probability be undermined. It was submitted for Haven that the particular facts about Mr Tonkin’s case did not entitle Edmondson to an equitable lien because, it was said, Edmondson’s work pursuant to its retainer made no significant contribution to the settlement. The submission was that Haven offered Mr Tonkin a settlement before, and without regard to, Edmondson logging Mr Tonkin’s claim onto the Portal. I disagree. The relevant chronology is as follows. On 12 April 2012, shortly after the accident, Haven contacted Mr Tonkin to discuss the provision of a hire car for him. This had nothing to do with a personal injury claim, although of course it arose from the same accident. Mr Tonkin and Edmondson entered into a CFA for the purpose of pursuing his personal injury claim on 16 April and, on the following day, Edmondson logged the details of that claim onto the Portal. Three days later, on 20 April, and after Haven had acknowledged the claim on the Portal, Mr Tonkin telephoned Haven. The transcript of the conversation shows that he was ringing about the provision of a hire car. Haven took that opportunity to make him an oral settlement offer for his personal injuries, initially of £2,200, later revised after negotiation to £2,350. This was repeated in writing by Haven on 23 April, and accepted by Mr Tonkin on the following day. Solicitors for a claimant generally contribute to a settlement by logging an RTA claim onto the Portal in two ways. First, they thereby supply to the insurer the essential details of the claim necessary for the insurer to appraise it and decide whether, and if so in what amount, to make a settlement offer. These go well beyond the details the insurer is likely to receive from its insured’s accident report, although that report will be likely to assist the insurer to decide whether liability should be put in issue. Secondly, they thereby demonstrate that the claimant intends seriously to pursue a claim for personal injuries, and has obtained, by the CFA, the services of solicitors for that purpose on terms which do not require the claimant to provide his own litigation funding up front. 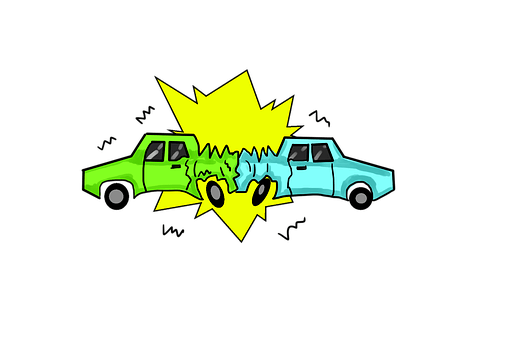 The incentive which that will usually supply to the insurer to settle a modest claim early, before costs increase, and where liability is not in issue, is obvious. In Mr Tonkin’s case the evidence does not show that Haven had, before Edmondson logged the claim onto the Portal, already obtained any, let alone any sufficient, information about the personal injuries claim. The earlier discussion with Mr Tonkin was about the provision of a hire car. Moreover the chronology shows that Haven had already received and acknowledged Mr Tonkin’s personal injury claim via the Portal before it made him a settlement offer. Nor did Mr Tonkin telephone Haven on 20 April to seek such a settlement. The inference is plain that Haven was encouraged by the logging of the claim onto the Portal to make an early offer of settlement, and nothing in the judge’s findings of fact displaces it. Mr Tonkin’s claim is not therefore an exception to the others, so far as concerns the application of the established principles about the solicitor’s equitable lien. Edmondson made a modest but still significant contribution to the obtaining of the settlement which ensued, and that was sufficient to trigger the lien. For those reasons, which differ from those of the Court of Appeal, I would nonetheless dismiss this appeal, subject to one point of detail. The Court of Appeal proceeded upon the basis that the equitable remedy could be deployed to provide a means for Edmondson to recover from Haven precisely those fixed costs, disbursements and success fee provided for under the RTA Protocol, regardless of the amount agreed to be paid in settlement. By contrast the remedy exists to provide security for the solicitor’s charges under his retainer, limited to the amount of the debt created by the settlement agreement. In the present cases, one effect of the retainer was to limit those recoveries to the amount recoverable from the defendants or their insurers. To the extent that the fixed costs regime limits those recoveries below that recoverable under the tables in the CFAs, that limitation would have to be taken into account, as it has been by the Court of Appeal’s order. Calculations carried out at the court’s request suggest that the Protocol based recovery was, in all cases other than Mr Tonkin, slightly greater than the amounts agreed to be paid in settlement of the respective claims. The Court of Appeal’s order for payment therefore needs to be reduced to the settlement amount in each case. The same calculations show that the Protocol-based recovery was, in the case of Mr Grannell, slightly higher than the corresponding entitlement under the relevant CFA: (£2,070.50 as against £2,043.50). But since both amounts exceed the settlement figure of £1,900, no additional adjustment appears to be necessary. Counsel are asked to agree the precise form of the order which should now be made, in the light of this court’s reasoning.